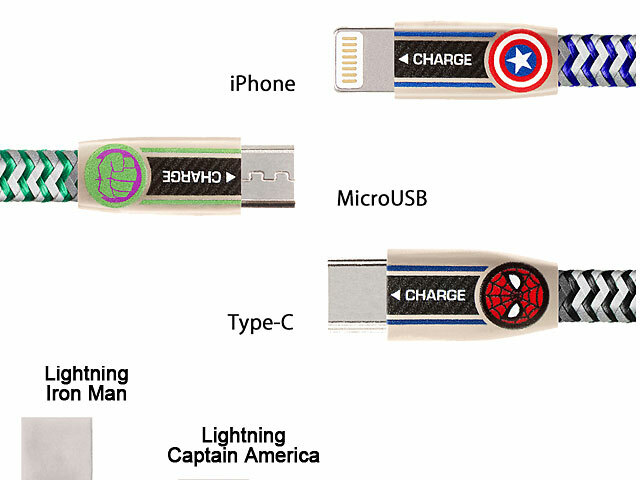 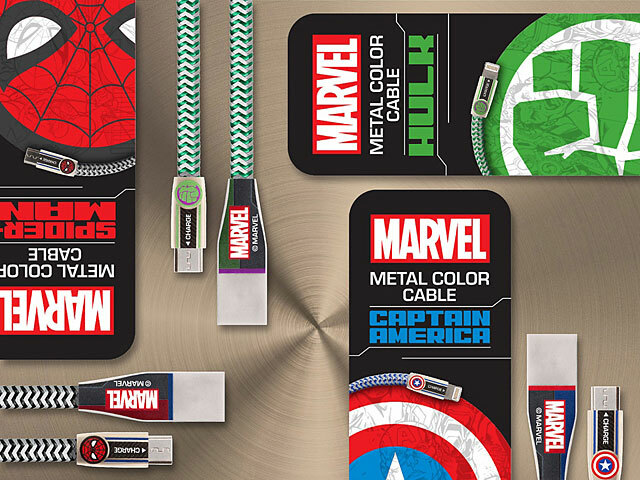 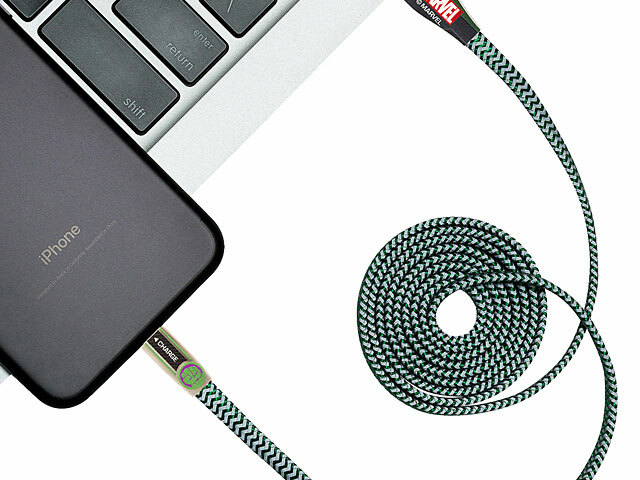 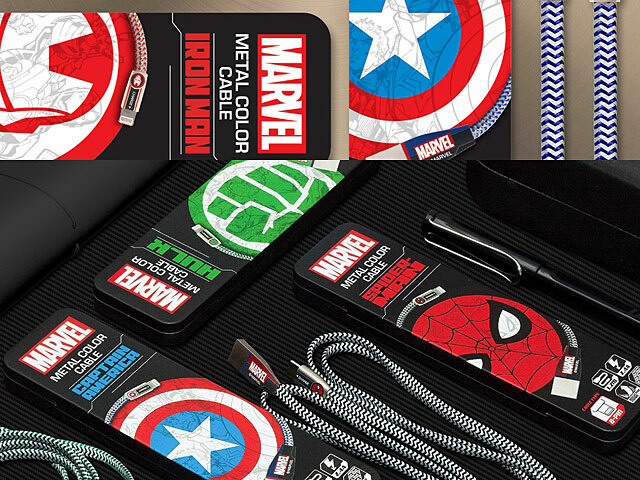 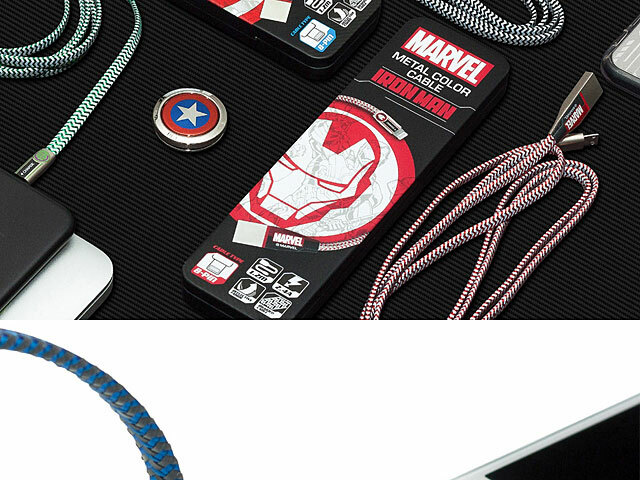 Marvel Metal Color Cable is designed with Lightning, Type-C and micro USB connector. 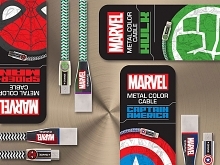 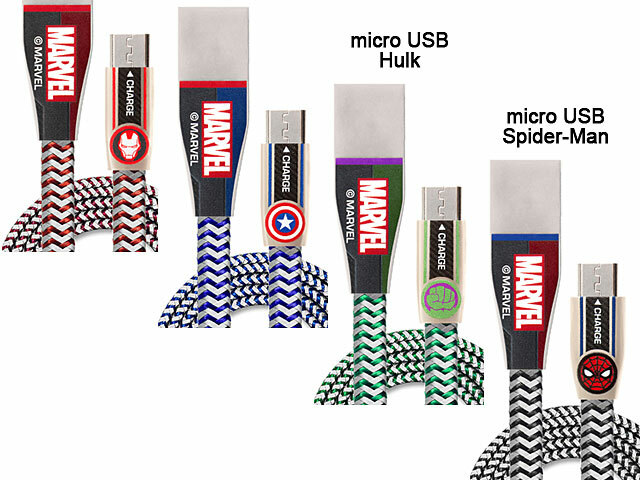 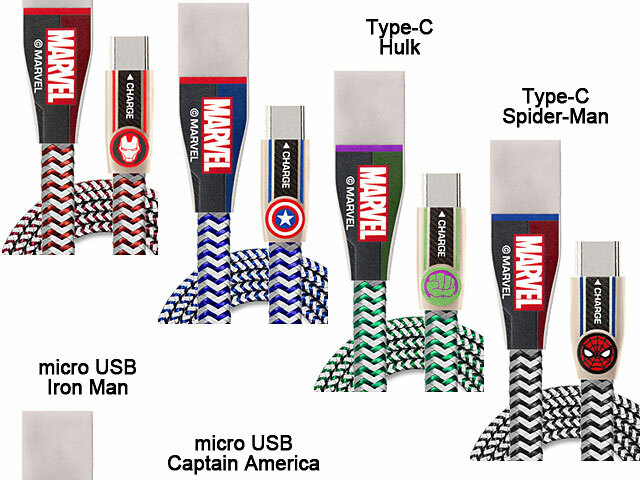 Each cable print MARVEL logo and character icon (Iron Man, Captain America, Hulk and Sipder-Man) on integrally molded metal connector. 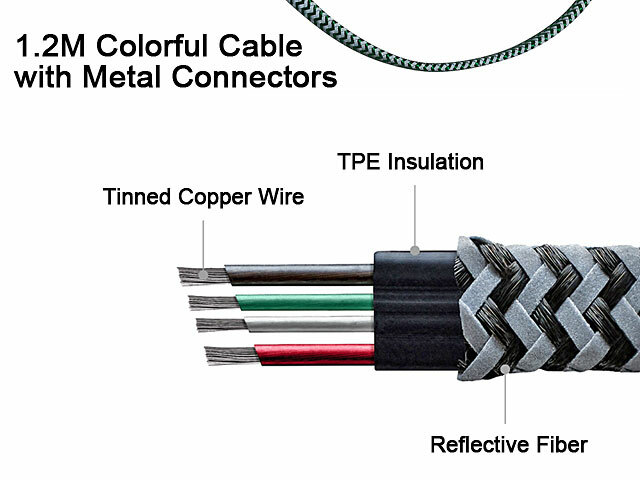 Weave the reflective material in a braided cord-resistant cable, how it looks changes to change in the direction of light. 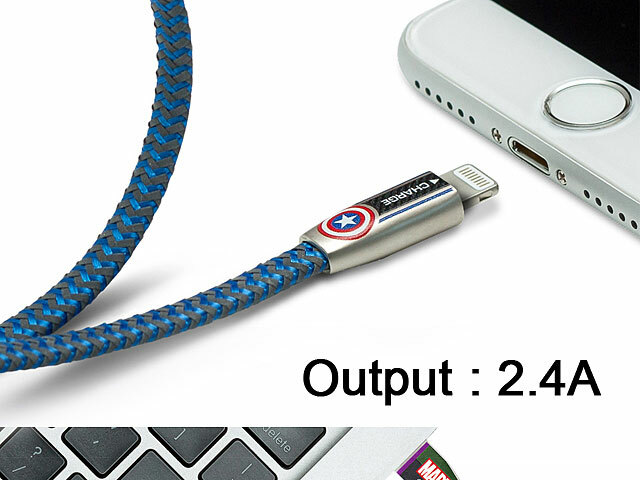 Support maximum 2.4A output. 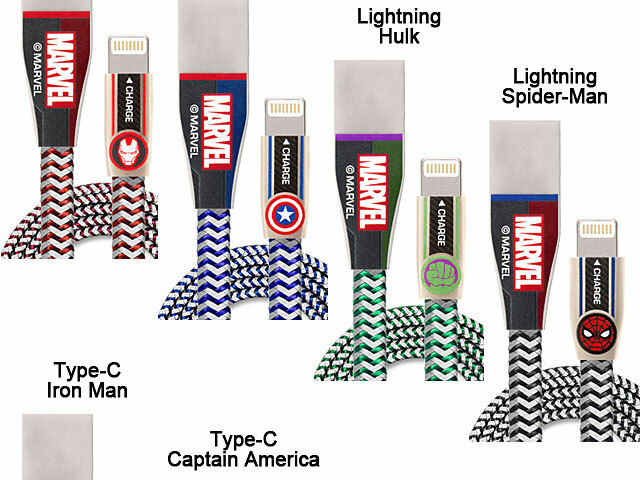 Data Hotsync and charging for your device.